From its scenic foliage in the spring and fall to its snow-covered hills and valleys in the winter and lush greenery in the summer, Buchanan County is evidence of Mother Nature’s handiwork. It is a county rich in history and tradition – from the pioneer spirit of its earliest settlers which has been handed down through the years to its rich tradition of timbering and mining. Visitors to the county will find a pleasant place to stay as they visit for a while or drop in overnight while traveling through the area. Named in honor of former United States President James Buchanan, the county was formed from the counties of Tazewell and Russell in 1858. Exploration of the county dates from about 1750, but few settlers came in until after the Revolutionary War. Buchanan County was sparsely settled until the 1930s when the development of coal mines brought many newcomers. 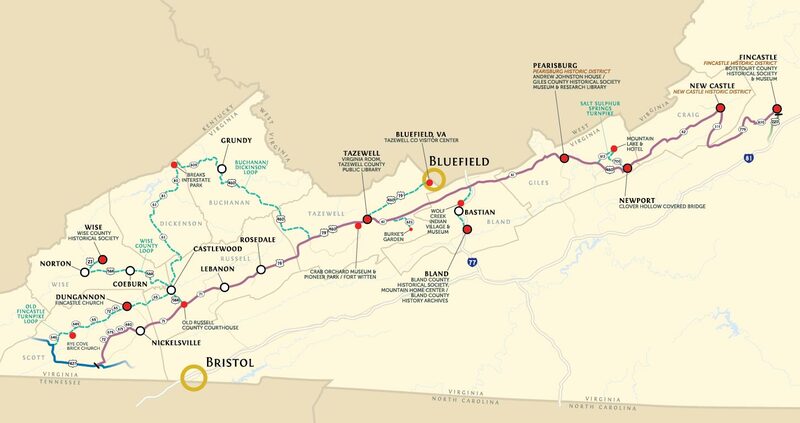 The rough mountainous terrain has greatly influenced the development of the Dickenson County area. Early settlers located along stream beds where the best farm land was to be found. The streams also served as a much needed water supply to the pioneers. The first settlements in Dickenson County were Sandlick, Haysi, Holly Creek (Clintwood), and Nora. All of these communities were developed along the streams in the area. 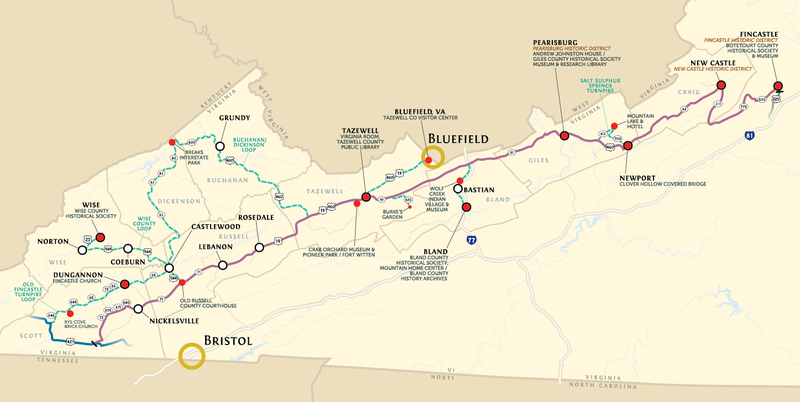 Copyright 2015 Wilderness Road: Virginia's Heritage Migration Route. All rights reserved.